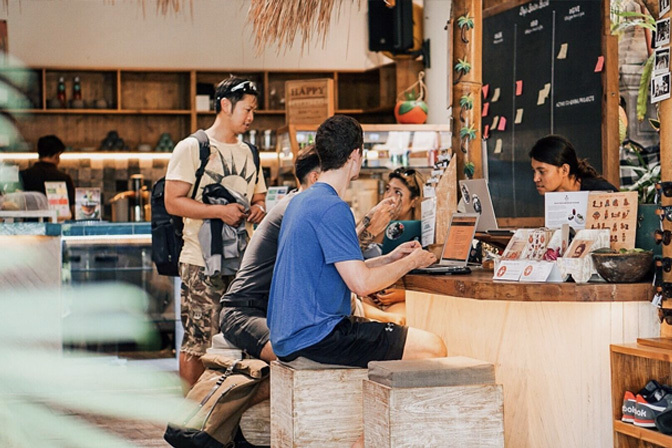 Coworking Bali: Dojo Bali located one minute walk from Echo Beach, Canggu on the beautiful island of Bali, Indonesia. 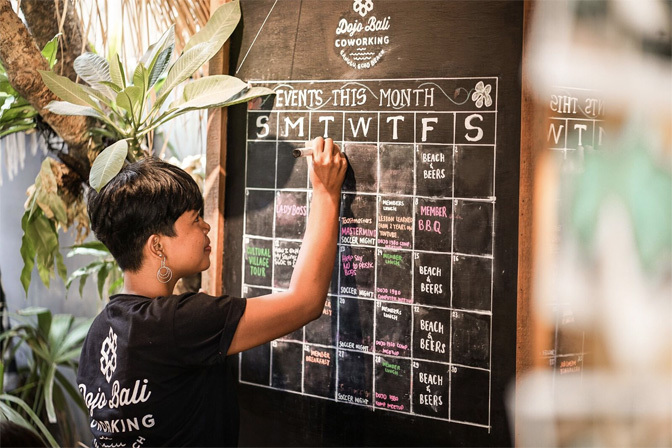 Find out about Coworking at Dojo Bali and the facilities available to our members. Check out the latest upcoming talks, socials & workshops this month. View our coworking membership plans & day pass prices. Dojo Coliving + Coworking soft land packages, accommodation in Canggu 10 private cosy rooms. Collaboration not competition & participation over observation. Dojo Coworking is really about our people, it’s about a highly motivated international & local community learning and collaborating, it’s not about fancy buildings (although they are nice), or how big the coworking space is, or how fast the internet connection is, it’s about real lasting human connections. Coworking at Dojo is highly productive with a quiet hum in the air and many different physical spaces & nooks to choose from, you will work alongside other like-minded people. The opportunity to mingle and network with other digital nomads and entrepreneurs is second to none. Get involved..
Dojo Bali is a coworking space located one minute walk from Echo Beach, Canggu on the beautiful island of Bali, Indonesia. 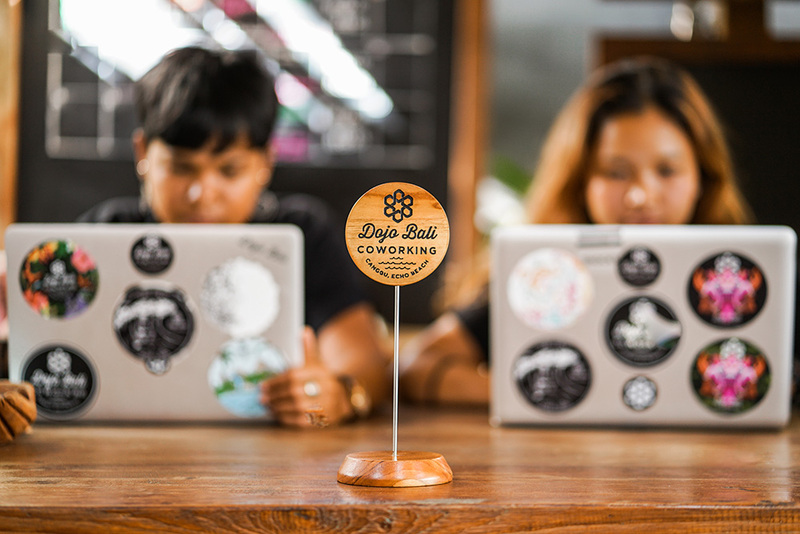 The coworking Bali space is a hip two-storey venue a stone’s throw from the world-famous surf break Echo Beach. It boasts state-of-the-art facilities, 6 business grade load balanced fibre optic lines (read more on our network), an amazing pool surrounded by lush tropical gardens, air-conditioned conference rooms, private skype booths, hot showers and a mix of large breezy spaces and nooks for collaborative or individual work. If you’re feeling peckish onsite, you can order from a range of scrumptious menu options courtesy of our café, or perhaps you’re better satiated by a fresh blend of dragonfruit from smoothie shack Nalu Bowls. And when the pressure of work is proving just too much, you can strip off and take a dip in the pool or walk a minute to the beach for a quick surf. 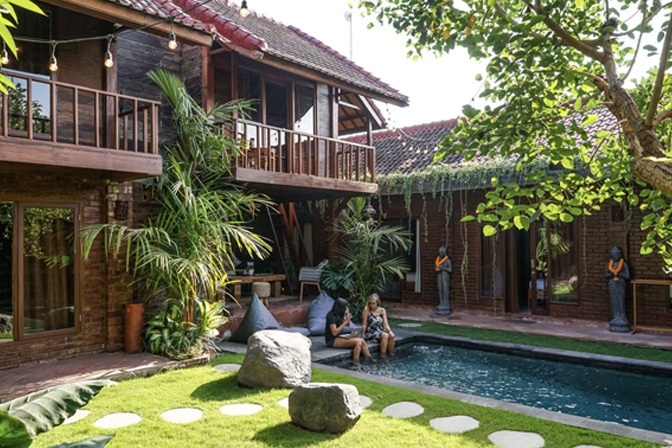 If your after accomodation around 5 minutes up the same road as Dojo we have our Dojo Coliving Canggu space, stay with other like minded entrepreneurs and digital nomads, you can basically book a ticket to Bali and we will look after the rest with our soft-landing packages, read more on our coliving. Please choose a Per Month, Per Person plan that suits your usage, example: 1 week equals 50hrs, 2 weeks 100hrs. Memberships don’t have to be preregistered, just drop in, sign up, pay at our front-desk and start working! Hours indicated are access to the space NOT the WIFI or Internet Connection. Payment is up front. We accept IDR cash and VISA and Master Card,3% credit fee applies. Monthly plan starts from the point of signup for 30 days. Sorry no upgrading plans you need to use the hours in the plan. If you run out of hours you can buy additional hours at the rate above, through our website or front desk. If you wish to change plan once you’re on a plan this is done only at the end of the month or once you use your hours. Additional Printing is charged at Black and White A4 & A3 IDR5,000 / Colour A4 & A3 IDR8,000k. *Storage lockers are first come first serve and are subject to availability. ** Additional charge for mail delivery.